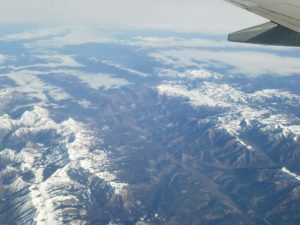 I’m writing this to you today, from 39,000 feet, somewhere over the Colorado, on a flight back from Portland Oregon. I was sitting here, staring off at the ground below, reflecting on the amazing adventures of the past week and working on my game plan for the weeks and months to come. It’s unbelievable what a week of exploring, brainstorming, sharing of ideas and positive thinking can do for you. But that’s a different post, for a different day. 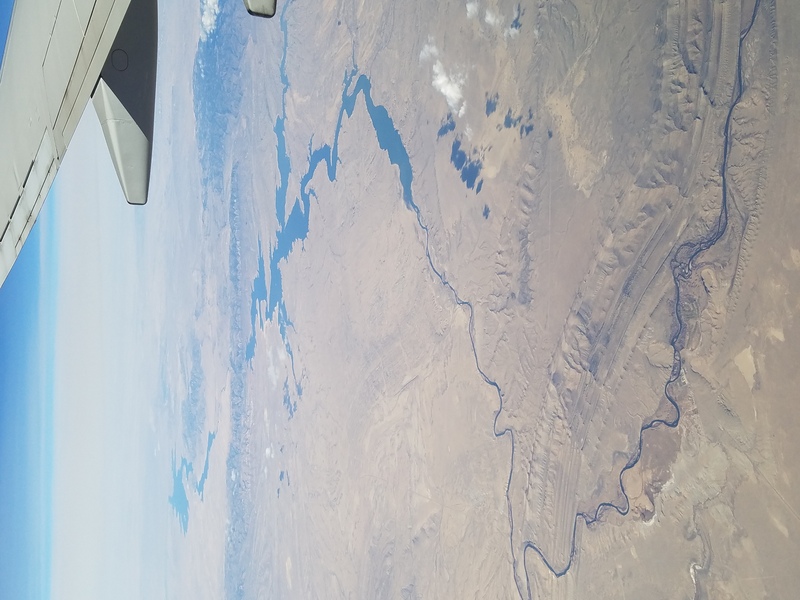 Somewhere over the vast expanse of the midwest, as I was gazing out the window of the plane, at the mountains and river below, the randomness of the winding river caught my attention. Never really going in a straight line, twisting and turning along the way. But in reality, this river was not just following a random path though. This seemingly random path had a purpose. A destination it was working its way towards. 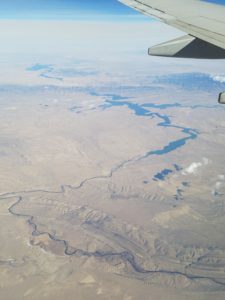 Have you every looked at a river from 39,000 feet? I mean really looked at it? This free flowing body of water is really a beautiful, motivational beast! A river finds its path by forging ahead and when something gets in its way, does it stop? No, it finds a way to get around that obstacle. It twists and turns as it goes, never stopping along the way to its final destination. It creates new paths as needed, twisting and turning along the way, going around the hills, mountains and towns. Some may call this following the path of least resistance. I see it as determination. It doesn’t let that mountain stop it from flowing to the sea. It works it’s way around that mountain. Or sometimes it just flows over the edge to follow a new path to the earth down below, creating even more natural beauty and motivation. Either way, it keeps moving forward. It doesn’t just stop. It finds a way to get to that final destination. We all can learn something from meandering river. Throughout our days, life will throw obstacles at us. We need to face those obstacles and look at what’s around us. That obstacle does not have to stop us or hold us back. Be determined like that river and find your path! Don’t be afraid of deviation from the current path, you never realy know what might be around that corner until you turn it. 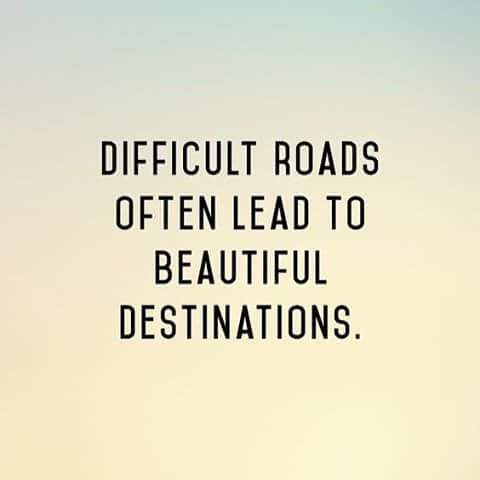 You deserve to get to that final destination. 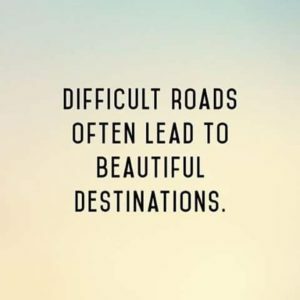 Your path might take some twists and turns along the way, but don’t let anything stop you or hold you back! You don’t need to follow the path that might seem to be the obvious one… YOU need to be the one to create your own path. Stay strong, follow your dreams and you will reach your ocean.